Glass can be used to emphasize a beautiful form. The starfire glass top of the Gina Berschneider Vienna Glass Top Dining Table allows you to view the stunning alder wood base while dining. 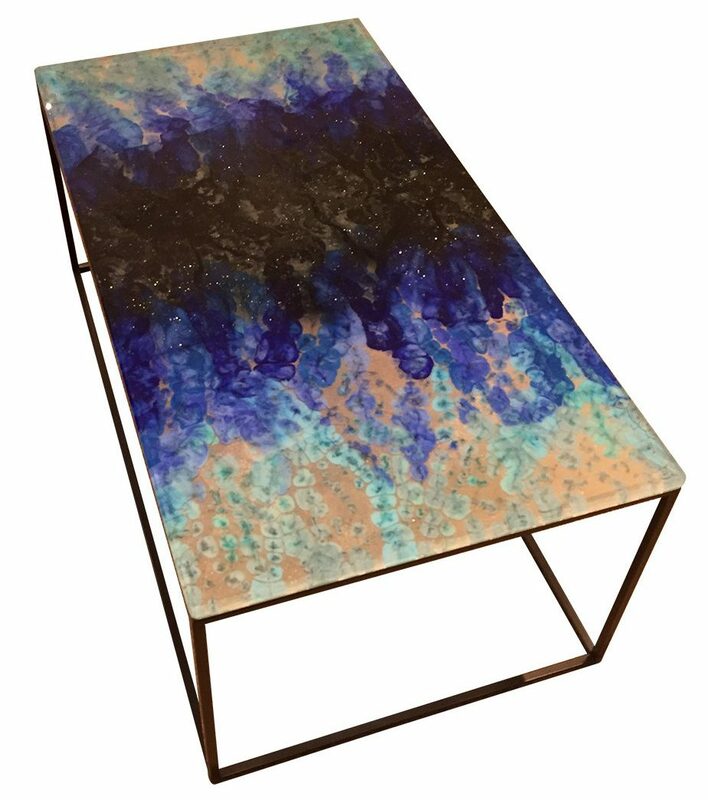 The beauty of colored glass is showcased in the varying shades of blue in the DESIGNLUSH Specialty Blue Glass Coffee Table. 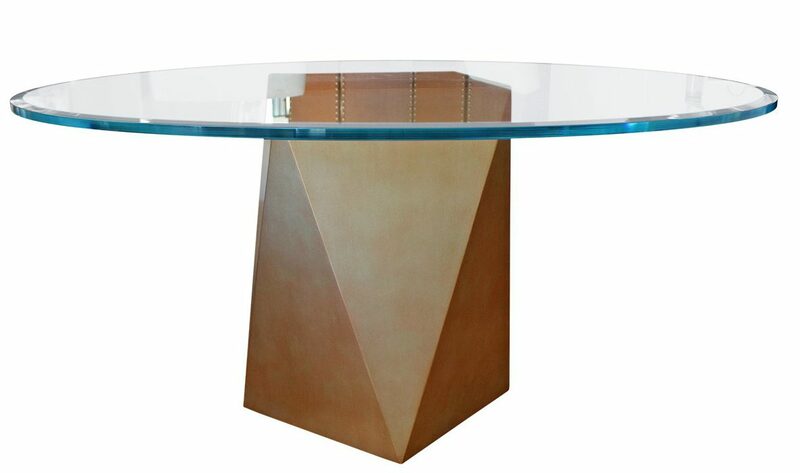 Its glass top is supported by an open metal frame that has a graceful feel. The Vintage French Glass Shelves curated by Will Wick add a feeling of spaciousness when used in place of wooden shelves. 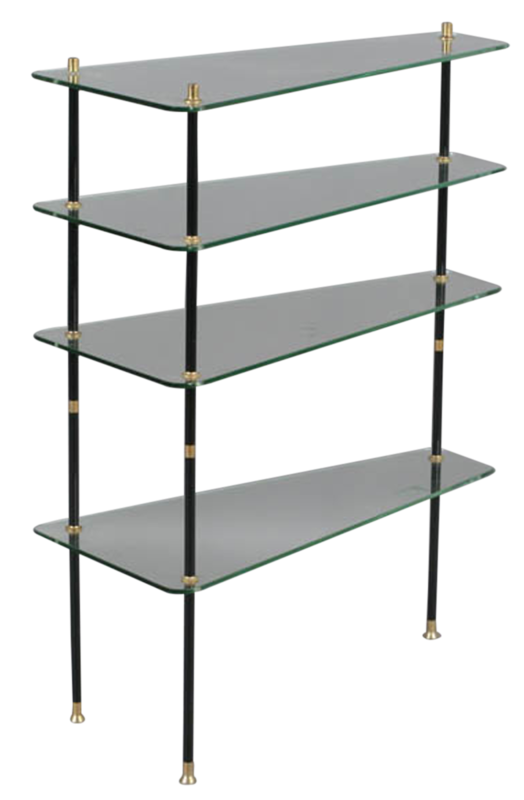 The curved glass shelves with metal legs and brass detailing add a sophisticated look to your contemporary room. 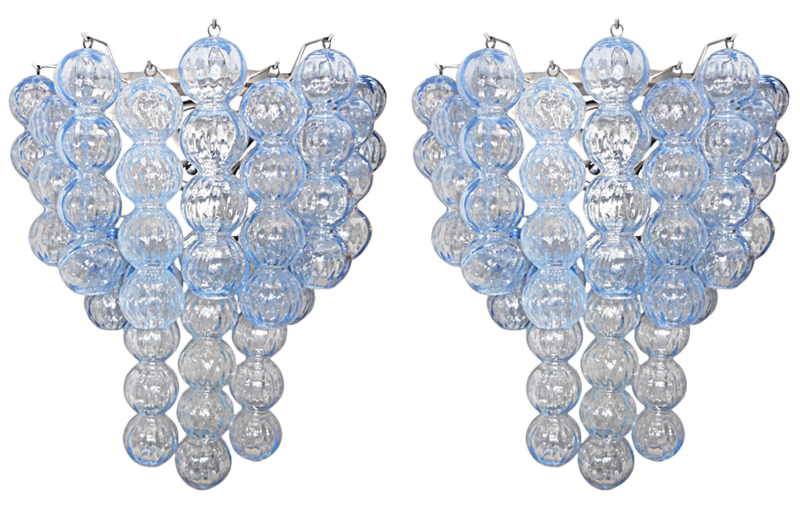 Enjoy the excitement of light through blue glass bubbles with these Vintage Blue Murano Glass Ball Sconces. Sold in a set of two, they give the illusion of floating bubbles and areÂ lovely even with the light turned off. 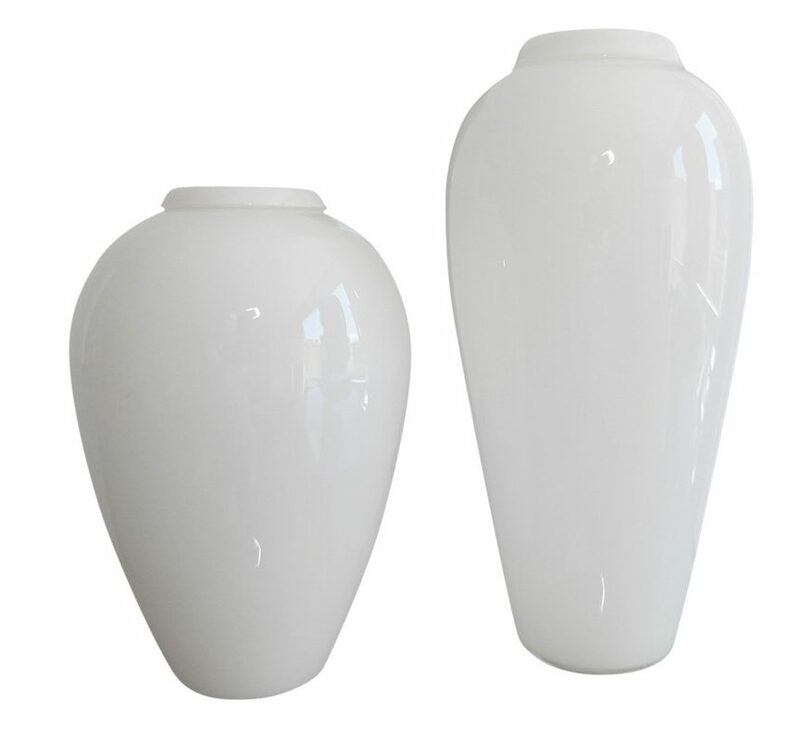 Made of hand-blown glass, the Joe Cariati Milk Glass Vases have a mid-century feel. A beautiful addition to your bookcase or mantel, they would look lovely in the center of your dining table. 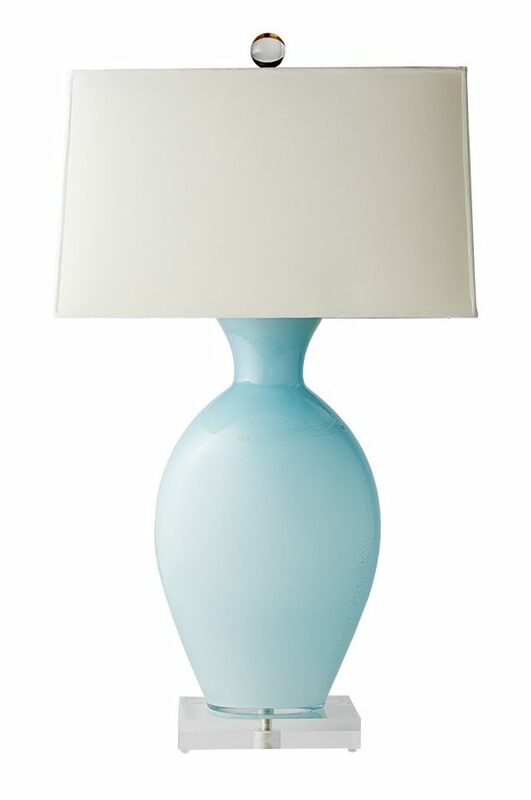 The Jan Showers Collection Oval Azure Lamp is a natural focal point in any setting. Made from Murano glass, the lamp has an exquisite azure base detailed with 22-karat gold accents.